<RAW THOUGHTS> collection is influenced by graphic representations of pleasure and pain. The symbolic elements are all inspired by the moments of discovering and deciding what feels "good." Made in 18k gold-plating and palladium, the jewelry designs are defining the millennial elegance. 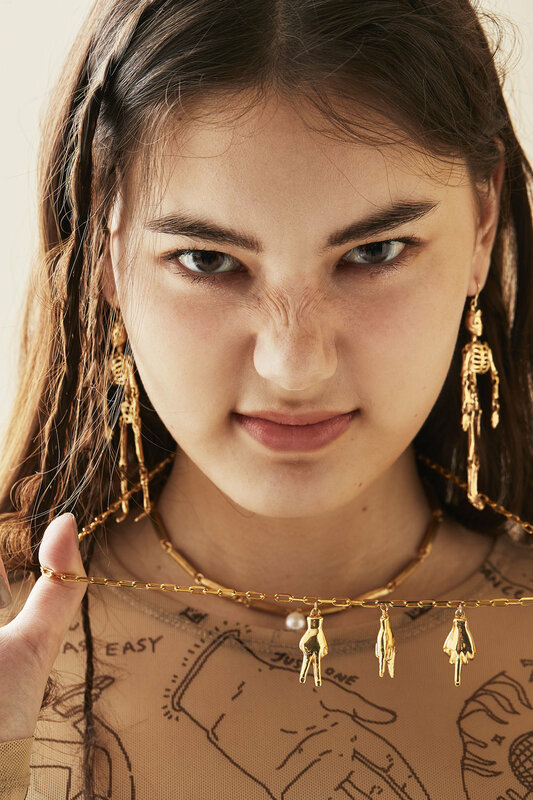 They are the perfect combination of kitsch and chic consisted of fun graphic jewelry called as, Nip Rings, Tattoo Earrings, Boy Tears Earrings, Ego Necklace and many more. 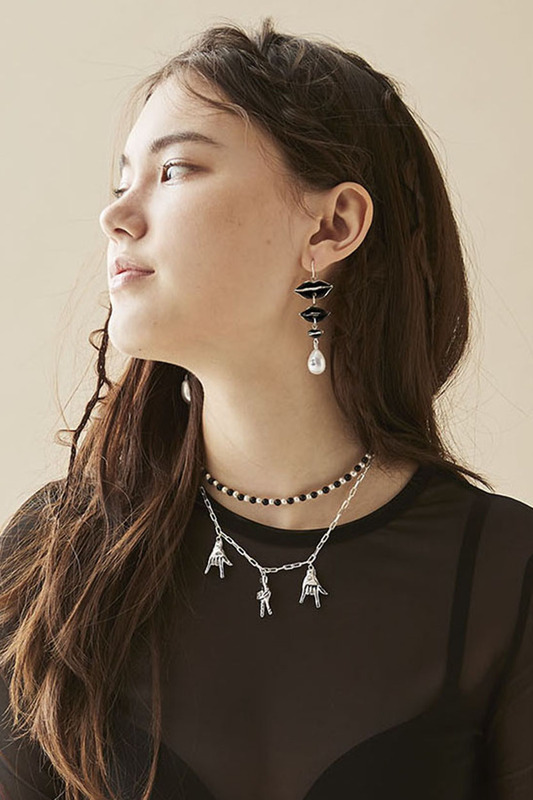 Ego Earrings, Ego Necklace, Triple Sign Necklace.